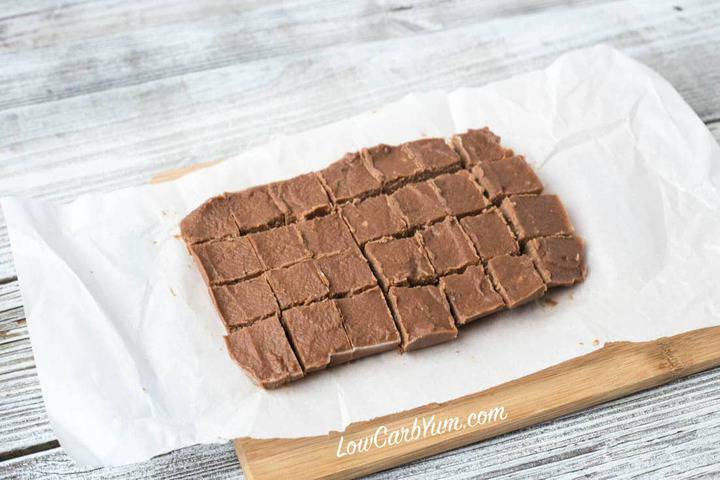 A quick and easy low-carb sugar-free chocolate peanut butter fudge recipe. This delicious treat will keep you from being tempted by high carb treats. Everyone seems to be making goodies over the holidays and bringing them in to share at work. If you work in a regular corporate office environment, I’m sure you know what I mean. In a couple departments I worked in, the goodies were shared all year long. Both of these departments had a secretary who felt like it was her duty to make sure all the workers had plenty of sugar to keep them going. These office treats were always with good intentions. 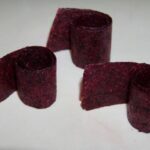 And during times when I had veered away from the low carb lifestyle, I often indulged in these unhealthy snacks. I’m much wiser now, and I don’t think I’ll ever go back to a high carb diet. I’m in my mid-forties and I know that it just gets harder and harder to lose weight, particularly for women, as we age. However, I do like sweet treats so I make sure they fit in with my low carb way of eating. I made some super easy dairy-free chocolate peanut butter fudge last weekend so I didn’t have to miss out on holiday goodies. Although I don’t have to follow a dairy-free diet, I know there are many benefits to ditching dairy. So, I’m considering cutting back. I’ve already started to drink my coffee black, not just to cut back on dairy, but calories and carbs as well. Heavy cream isn’t free of carbs and it’s very calorie dense. I’d rather save those carbs and calories for real food. Although coffee has some health benefits, I tend to go overboard. Coffee is something else I need to cut back on. I’m trying to switch over to drinking more tea. For this dairy-free chocolate peanut butter fudge, I found it easiest to prep everything first. I scaled this recipe down to about 7-8 servings. I used a Chinese restaurant takeout container, about 6×8-inches, as my pan. I lined the container with parchment paper so it would be easy to remove the fudge. I put the powdered sweetener, peanut butter, and vanilla extract into a mixing bowl. The coconut oil, coconut milk, and cocoa went into a small pot so I could heat them to a boil. This allowed me to quickly stir the hot mixture into the mixing bowl ingredients until well combined. Then, I spread it into the lined container before cooling down. It makes things so much easier if everything is ready to go and I do think it saves time as well. The warm mixture does harden up fast as it cools so I like to get it all spread into the mold as soon as I can. It only takes an hour or two to set in the refrigerator. 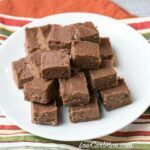 Then, you can take this dairy-free chocolate peanut butter fudge out and slice it into squares. Although I used coconut oil, I’m going to try ghee next time. I think it will give a better taste without the lactose so it should still be safe for those who are lactose intolerant. This dairy-free chocolate peanut butter fudge could be labeled a fat bomb as it is pretty high in fat. However, it’s a lot softer than the chocolate peanut butter fat bombs I make. 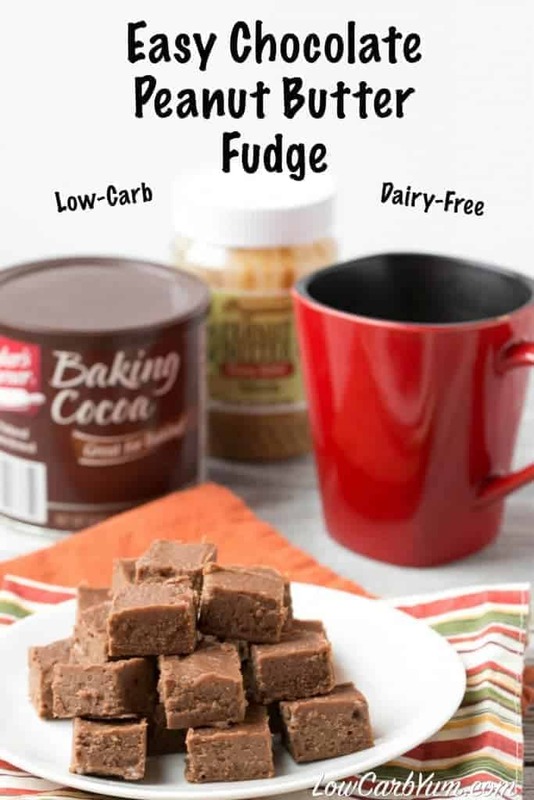 If you wanted to try making this fudge with a concentrated stevia liquid instead, you’d need to add something like a protein powder to make up for the bulk of the sweetener. 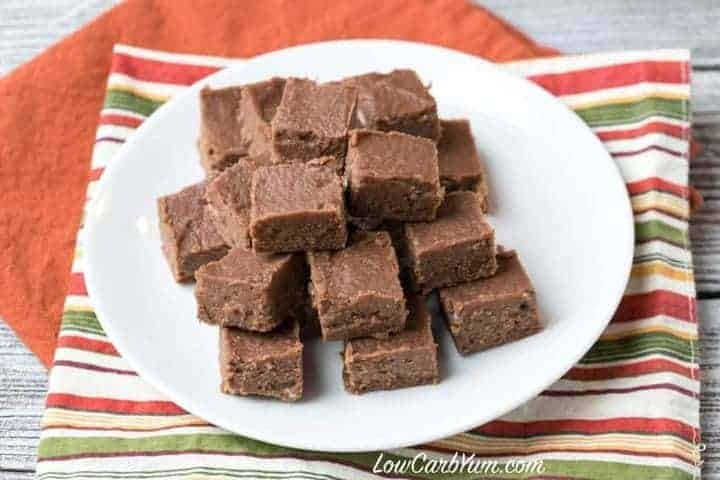 Chocolate chips or a few chopped peanuts would be excellent additions to this easy chocolate peanut butter fudge. I kept the recipe basic and simple, but there’s always room to customize it to your liking. A lot of people tend to gain weight over the holidays. But, I’ve managed to maintain my weight over the last five years by staying away from those high carb goodies. My youngest daughter was born three years ago, just before Christmas, and even pregnancy didn’t cause a lot of weight gain that year. Although I ate more carbs during the pregnancy, the weight came off easily after the birth since I never over-indulged in high carb foods. 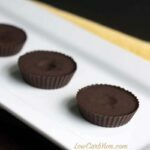 There are a lot of quick and easy low carb treat recipes out there. 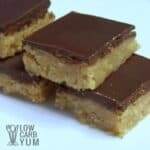 This low carb sugar-free peanut butter chocolate fudge will only take about ten minutes of your time. 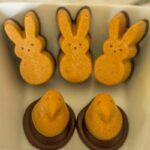 What’s your favorite quick and easy go to low carb treat recipe? 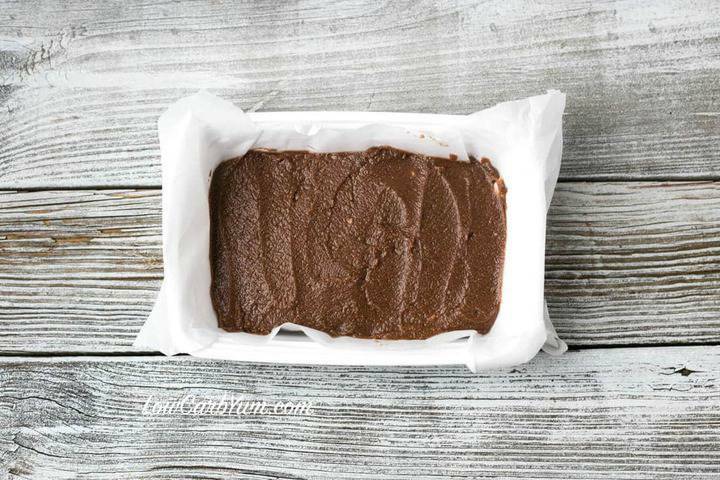 A quick and easy low-carb dairy-free peanut butter chocolate fudge recipe. 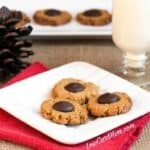 This delicious treat will keep you from being tempted by high carb treats. Place sweetener, peanut butter, and vanilla extract in medium bowl. Set aside. 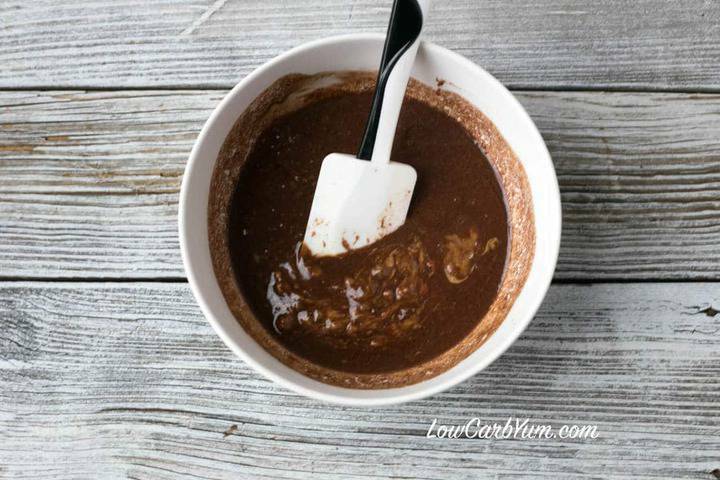 Mix coconut oil, milk, and cocoa in small saucepan. Bring to a boil. Pour hot mixture over the ingredients in medium bowl. Stir until well combined. Spread into prepared container. Allow to cool in refrigerator. Slice into squares. I don’t have any cocoa powder. Could I use protein powder? Or Lilly’s chocolate chips? Thanks can’t wait to make! Protein powder should be okay, but if it’s sweetened, you’ll need to cut back on added sweetener. Other changes might be needed to use chocolate chips. I made this last night used Swerve, it turned out a bit too sweet for me but non-keto fudge is too sweet for me too so no fault of the recipe. I’ll just cut it back a tad. I used coconut oil, that’s my biggest issue again not the recipe, I didn’t have ghee, very curious as to how it would taste because I don’t like the taste of coconut oil. I’ll make this recipe again. Butter flavored coconut oil is a good option too as it hides the taste of coconut oil. This is an AMAZING keto treat that hits.the.spot! The most pleasant surprise is the texture – so close to real fudge that I don’t think I’ll ever need to eat the unhealthy version again! Thanks, Lisa! 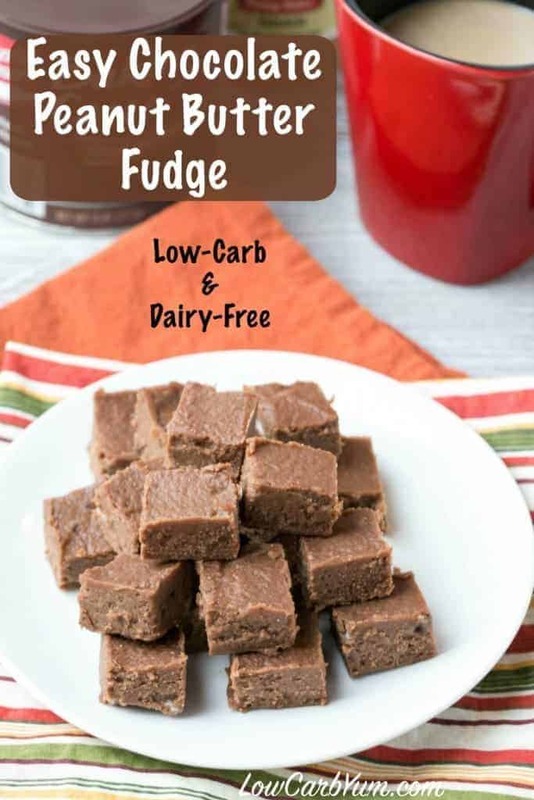 I’m so glad you enjoyed this delicious low carb fudge! Can you use PB fit power instead of pb and how much would you use. PB fit is sweetened so you might need to cut back on sweetener. Otherwise, it should work in the same amount. This peanut butter was so yummy! I would like to make using Lilly’s chocolate chips instead of cocoa powder. Do you think would work and how much of the chocolate chips would you substitute? Thanks can’t wait to make for all my diabetic and Keto/low carb pals! Of course me too! Lol! 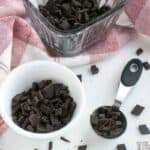 It’s generally 1 ounce of chocolate chips to 3 tablespoons cocoa powder. Good morning from indiana. Can we use pb fit instead of regular peanut butter? Im getting ready to make this but jist wondered if I could switch the pb. Thanks. It should work if you use the converted amount with liquid. well, a lot of changes may be. Once everything was put together it started getting thick so I could not put it in the right form, so I put it in the microwave for 10s and it was soft again. Thanks for sharing those subs! I don’t have coconut milk but I have heavy cream. Would that work and in the same amount? It should work, but I haven’t tested it. You may want to dilute the heavy cream with water as coconut milk is thinner. I’m having a hard time making nutrition facts match your when it comes to the carbs. I’m getting 4.5 grams of carbs PER square. I think it’s the peanut butter as it has 24g and the suger alternative has 96g. What am I doing wrong? If I made it with my ingredients, 4 pieces would be more than 17g of carbs. I am using Swerve (even though it has the same amount of carbs per tsp) and a natural peanut butter. Please help! I recalculated the recipe and got similar numbers. The thing is, you don’t count the carbs from erythritol because they do not impact. I realize food labels require it, but you can subtract them from the total. It’s the only sugar alcohol that has no impact. What about erythritol as a substitute for swerve? It is a good sub, I find it to be a little less sweet than Swerve, though. I used truvia and it came out really bitter. The texture was nice, but I couldn’t get past the bitter taste. Try reducing the stevia sweetener and adding in a little monk fruit as it helps get rid of the bitter stevia taste. Do you think I could use sunflower seed butter instead of peanut butter? The Coconut Oil separated when I put them n the Pan. This has never happened b/4! What did I do wrong? I think its a temperature thing. But, an electric mixer may be able to blend it back together. If I use truvia to make this in place of the powdered sugar (ground in coffee grinder for powder form) do I use the same amount? Truvia is a concentrated sweetener whereas the others are one for one sugar replacements. You’ll need less Truvia. You can look up the conversion on the Truvia website. Ghee and home would pretty much be one for one subs. Not sure about the coconut nectar as I’m not familiar with it. Looks delicious! Would it work using butter and heavy cream instead of coconut products? Thanks! I haven’t tried it with dairy, but it should work. The coconut oil is just firmer than butter. This looks great! 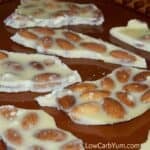 I’m always looking for clean treats and I want to make a low carb birthday treat for a coworker and this looks like it’ll work great. I’ve never heard of the sweeteners listed. I have a bag of Stevia in the Raw that I believe has a cup for cup conversion. Would I be okay to use that, you think? Should I processes it any to make it more fine? You can use Stevia in the Raw, but I don’t recommend that product because it contains dextrose which has been shown to raise blood sugar. I have Truvia baking blend. How do I make it into powder form? Because Truvia is more concentrated, it won’t be as bulky as other one-for-one sugar replacements. I just make a powder by putting it in my NutriBullet blender. Could I use almond milk instead of coconut milk? Absolutely! I use them interchangeably. It doesn’t take long. Maybe an hour or less. I know I usually grab a piece in 15 minutes. This recipe is a total lifesaver because I can’t have dairy! Pinning! 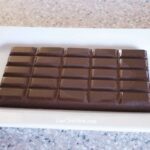 My oldest son is in love with fudge, I ‘ll definitely be trying this recipe out! love the peanut butter flavor in the fudge! I’ve never tried a sweetener like Swerve but I’d be up for giving it a go. Meanwhile, I wish I had a piece of your fudge right now! It looks so good! Swerve is very popular with low carb folks in the US. In Europe, Sukrin is more popular. You can always powder your own granular sweetener or use xylitol. can i use icing sugar instead of swerve? 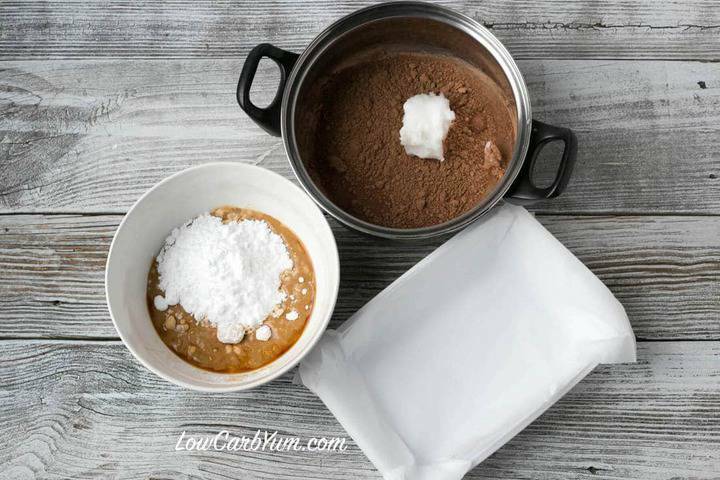 You can use any powdered sugar you like in place of the powdered sweetener. Are you supposed to use coconut milk from the can or from the carton?? I used carton, but can works too. It really depends on which one you prefer. Love your use of coconut oil and coconut milk in this recipe. Definitely on my holiday treats list! Great simple recipe! Have you tried this using a different sweetener like the Splenda granulated in the bag? Or do you think the granulated vs. powdered thing would be a problem? 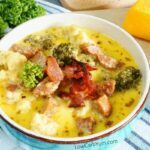 Thanks for all the great low-carb recipes you share! Powdering Splenda in a blender or food processor would work. However, I avoid it because of the carby filler. Great recipe, wisely made! I also love the fact that you are using simple ingredients and utensils that everyone has in their houses such as this takeout container.